Catherine MacClelland, as strong-minded as she is beautiful, is hiding a terrible secret. Predestined to carry on an ancient curse, Catherine knows she must live isolated from the world and resigns herself to a life devoted to her clan. But powerful forces are gathering around her, and she alone will have the chance to break the curse that has plagued the MacClelland clan for centuries. Nicholas Efington, the Dark Duke, has abandoned his wicked life in an attempt to heal the physical and emotional wounds he’d suffered in the past. Now he has only one task on his mind: find a wife and beget an heir. 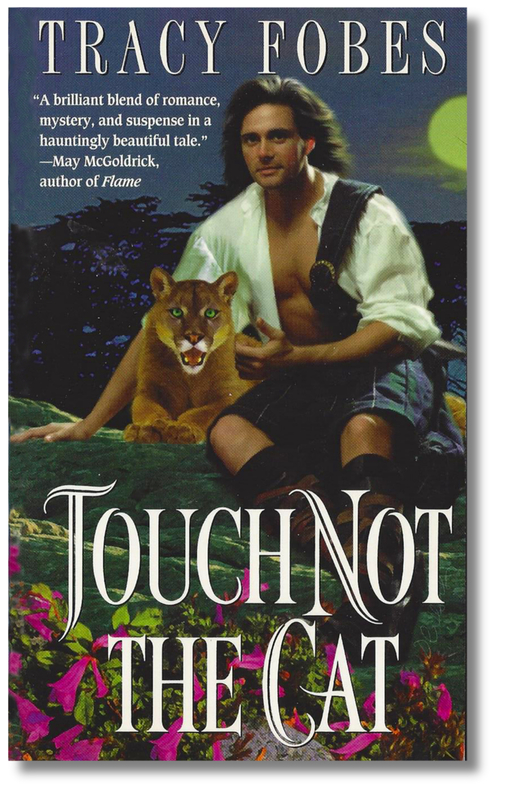 But when Catherine MacClelland’s father blackmails him into marrying her, he’s drawn into a dark mystery where ancient myths come alive, while finding a lass who brands his very soul with passion. As Nicolas and Catherine come closer to understanding the secret that could destroy them forever, betrayals and ominous forces threaten their only chance at happiness. Will they overcome the curse of the grimalkin or surrender to it as so many before them?